Green vegetables including broccoli may not be on your plate regularly or perhaps not at all. However, if you are a diabetic, this vegetable will definitely help you. Sulforaphane in broccoli and other vegetables can not only help reduce the risk of type 2 diabetes but may also reverse it. Sulforaphane, a compound found in cruciferous vegetables, including broccoli sprouts, causes improvement in fasting blood glucose levels when consumed by obese people with type 2 diabetes. It also reduces the production of glucose. Brussels sprouts and cabbage also contain this compound. An animal study conducted on rats showed that the compound reduced the amount of glucose produced by cultured liver cells, and reversed abnormal gene expression in their livers. The study was published in the journal, Science Translational Medicine, and conducted by Annika Axelsson and her colleagues at the Lund University Diabetes Center in Sweden. After the animal study, the researchers studied the effects of broccoli sprouts extract on 97 obese participants diagnosed with type 2 diabetes. These participants had poor control of their blood glucose levels. The researchers administered the broccoli extract in powdered form, which contained 100 times the amount of sulforaphane of that found in natural broccoli. 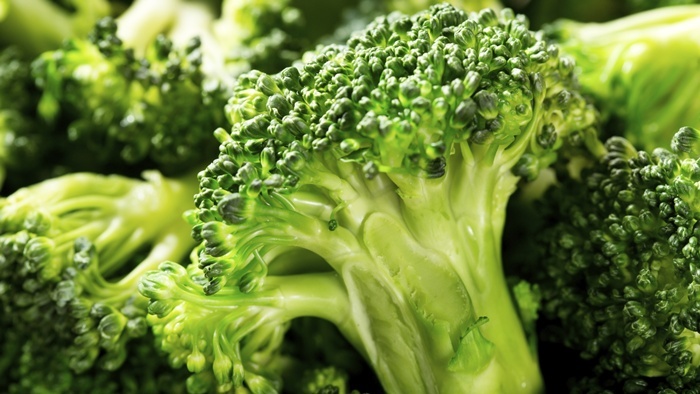 The study researchers found that the individuals who consumed broccoli extract showed a significant reduction in fasting blood glucose levels compared to those who didn’t consume it. The fasting blood glucose in these patients was reduced by 10% compared to that of the other group. Their body was able to control the glucose level and reduce glucose production. Also, the sulforaphane did not have any effect on people who weren’t obese. Anders Rosengren, an assistant professor at the University of Gothenburg in Sweden, says that this research unveils new possibilities to treat type 2 diabetes. Type 2 diabetes is the most common form of diabetes, accounting for more than 90% of diagnosed cases. Type 2 diabetes, when left uncontrolled, can cause complications such as kidney failure, heart attack, and strokes. According to the Centers for Disease Control and Prevention, it can also lead to blindness and nerve damage. As previously mentioned, sulforaphane is a substance found in cruciferous vegetables. It is an essential element which helps prevent many heath issues. Here are a couple more benefits of this compound. Sulforaphane along with other related phytochemicals may help prevent cancer. Test tube research found that phytochemicals help treat and prevent a wide range of cancers. According to the Breast Cancer Research Program, it increases the production of other enzymes in the body that wipe out carcinogens before they damage healthy cells. Oxidative stress caused by exposure to the free radicals from pollution, sunlight, and toxins damage cells. Sulforaphane helps protect cells against normal oxidative injury. Sulforaphane also protects the DNA from cancer-causing molecules. It changes the DNA structure to reduce the risk of mutations. DNA is vulnerable to mutations, and if left unprotected, the mutations can combine and lead to cancer. These other are high-sulforaphane foods you should consume. Of all the varieties of cabbage, Savoy and red cabbage have the highest amount of sulforaphane. However, cooking results in loss of the compound, so it is better to have the cabbage raw. You can easily add chopped cabbage to your sandwich or salad. All cruciferous vegetables including Brussels sprouts contain good amounts of sulforaphane. Cook it with less water to reduce the loss of the phytochemical. You can steam or microwave it. Kale is packed with vitamins A, C, and K, and is also rich in sulforaphane. So, add it to your salads and stay healthy. Staedter, T., “Broccoli Compound Could Help Treat Type 2 Diabetes,” LiveScience, June 14, 2017; https://www.livescience.com/59489-broccoli-compound-sulforaphane-may-treat-type-2-diabetes.html. Whiteman, H., “Broccoli sprout extract may help to treat type 2 diabetes,” Medical News Today, June 15, 2017; http://www.medicalnewstoday.com/articles/317917.php. “SULFORAPHANE,” National Nutrition; http://www.nationalnutrition.ca/Articles_Sulforaphane_SGS.aspx, last accessed June 16, 2017. Turcott, M., “Foods That Are High in Sulforaphane,” Livestrong, February 7, 2014; http://www.livestrong.com/article/307835-foods-that-are-high-in-sulforaphane/.